With the recent FAA-mandated grounding of the Boeing 737 MAX fleet, we are seeing an additional surge in aircraft upgrades/downgrades within pairings. 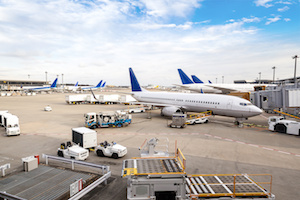 These unexpected aircraft changes are causing some confusion and raising questions as to how work positions for Flight Attendants working a pairing involving an equipment substitution. “In the event of an equipment change which does not require the original number of Flight Attendants scheduled, scheduling will first reassign Reserves, if any. If the trip still does not require the remaining number of Flight Attendants, the senior bid Lineholder(s) may fly or opt off the pairing. Language Qualified (LQ) Flight Attendants and the FSL may be required to complete the pairing should it require their special qualification(s). If the pairing does not require the original number of LQ Flight Attendants, the senior LQ Flight Attendant may opt off the trip. If the Reserve is not reassigned and travels on the same flight, she/he will be included in the senior option as provided in Section 7.O. of our JCBA. Note: The surplus Flight Attendant(s), who have either been removed or who opt off the pairing shall, at her/his option, be pay protected in accordance with the provisions of Section 7.Q.7. of our JCBA. Additionally, unassigned positions are identified and filed at the beginning of the flight, after Flight Attendant boarding time and before pre-flight duties begin. This will primarily occur during briefing with any unassigned positions filled in seniority order among the Members of the working crew. Note: If there are multiple base pairings assigned to a flight, the base pairing that was originally assigned to the flight will work their positions and the remaining positions are filled by seniority. Additional information can be found in our JCBA, Section 7.Q.7. Flight Attendants changing working positions are encouraged to become familiar with the Established Staffing Guidelines located in Content Locker section of our Link.